Joachim Blechschmidt was born on 28 December 1912 at Schleiz in Thüringen.  Blechschmidt was a former bomber pilot who had received the Deutsches Kreuz as a Hauptmann on 9 February 1942. He had also served as a Staffelkapitän of a transport aircraft unit before being appointed Gruppenkommandeur of I./ZG 1 flying Bf 110 Zerstörers on the Eastern front on 20 August. He participated in the advance on Stalingrad and, later, in the battles of the Don bend where his unit was operating from an airfield entirely surrounded by the Russian army. Major Blechschmidt was awarded the Ritterkreuz on 17 March 1943 for his accomplishments in these operations. On 12 April 1943, Blechschmidt was appointed Kommodore of ZG 1. 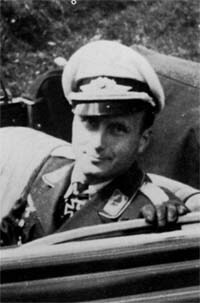 Blechschmidt was shot down in aerial combat with Russian fighters east of Orel on 13 July 1943. He made an emergency landing in Bf 110 G-2 (W.Nr. 6295) “S9+BA” behind Russian lines and he and his crewman were seen exiting the aircraft. However, Blechschmidt was not repatriated at the end of the war and remains missing to this day. Blechschmidt was promoted to the rank of Oberstleutnant in absentia. Joachim Blechschmidt victory total is not known for certain. Most sources indicate he was credited with 17 victories, all recorded over the Eastern front.